Yes, I guess it is! Sure makes for a fun way to present it at breakfast. Just not slathered in as much icing as I used! This is very impressive. I love the size and shape of the loaf. I would like to be the lucky person to receive the sweet icing slice. Lovely post. Thanks! I was really happy with just home much it rose during the second proving. Glad you like the post! 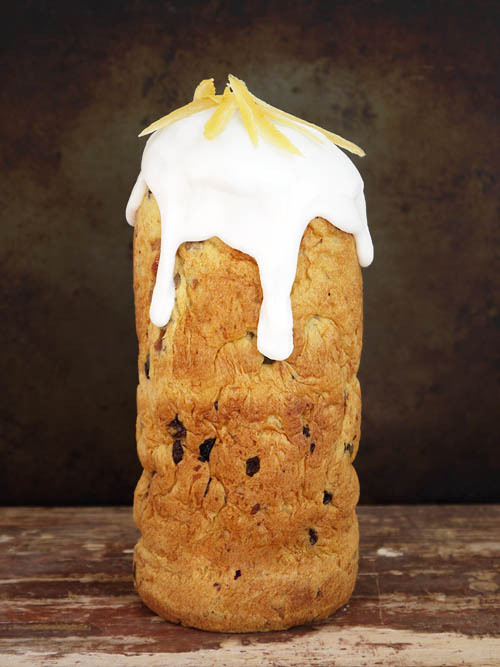 I’ve made panettone several times but this looks awesome!! Yes, it is a really good recipe. One thing to note – it is important not to change the quantities of sugar butter and eggs as it really affects the texture, but play around with the fruit and nuts as you like.